The Plaza de Concha Sandoval is the square located next to the Palacio de los Guevara in Lorca, alongside Calle Lope Gisbert and the main post office in the city. 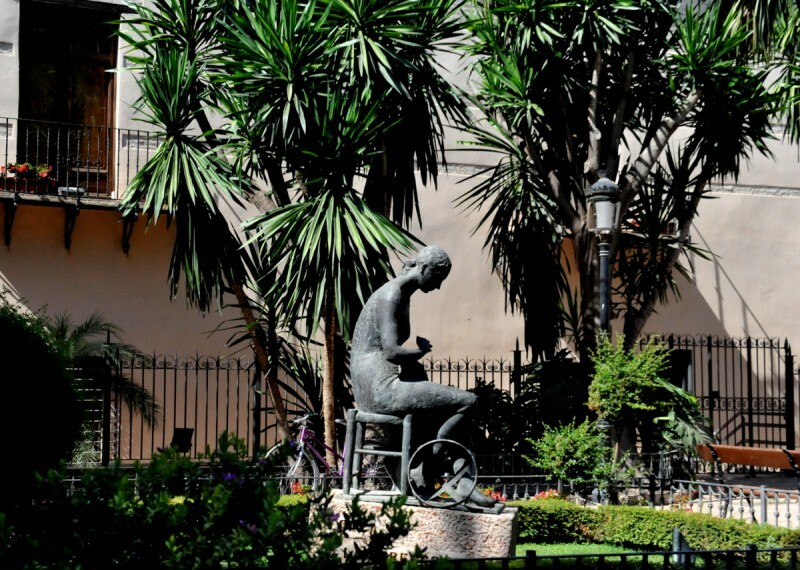 In the square is a sculpture dedicated to the women who over the course of generations have created the embroideries of Lorca and helped to make the Semana Santa celebrations an Item of International Tourist Interest. The monument is the work of María Dolores Fernández Arcas, and was unveiled in 1986. 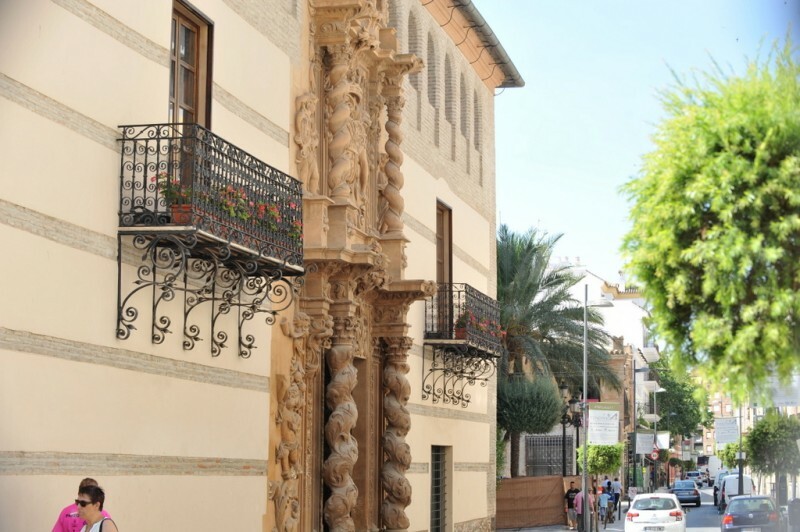 Concha Sandoval Moreno was for a long time the only woman to feature on the list of illustrious residents of Lorca in the Town Hall, having left a great mark on the city during her time as the head of household in the Palacio de los Guevara. She was born in Madrid in 1893 in a palatial residence on Calle de La Estrella. Her father was Alfonso Sandoval, while her mother, Encarnación Moreno, was the daughter of Juan Moreno Rocafull, the man who designed the bridge of La Alberca over the River Guadalentín. As a child she surprised her elders and nannies by showing a keen interest in polishing, needlework and ironing, tasks which would normally be left to the servants. 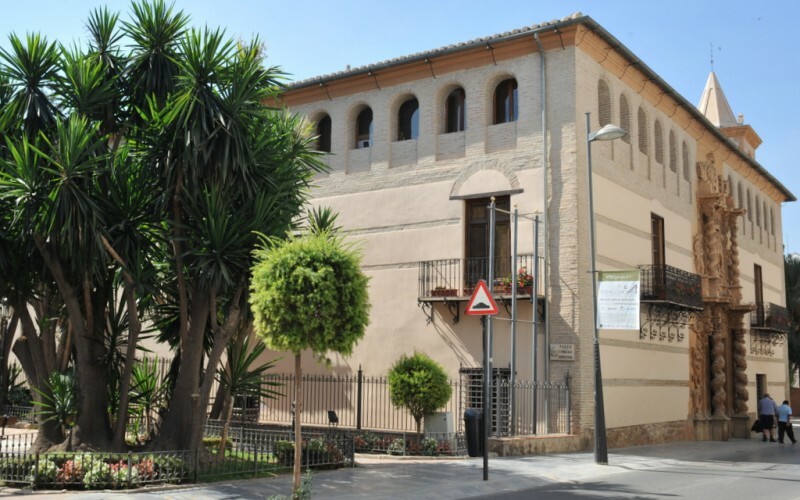 But her father died in 1915, and her brother and elder sister followed, and Concha and her grandmother sought solace on the Palacio de Guevara in Lorca, which the family had recently restored. Here the young woman found a new circle of friends, and enjoyed horseback rides through the city as well as using the local tennis court. Following the death of another brother, Pepe, and her grandmother, Concha was suddenly one of only three remaining members of what had been a large family, alongside her mother and her remaining sister Luisa. Three women facing life on their own, with no male relatives remaining. Further misfortune followed in the Civil War, when militants entered the Palace and forced its owners out. 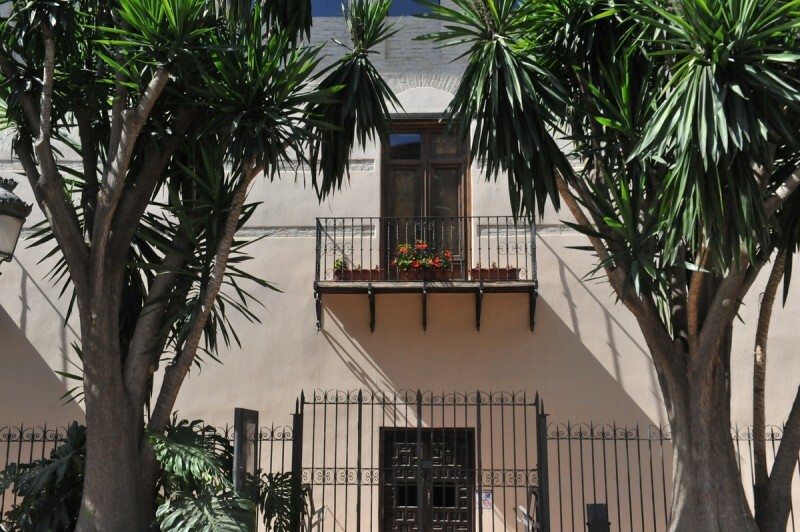 The three women took refuge at a friend’s home in Calle Selgas, and there they stayed until they were able to return to the Palacio de los Guevara in 1939 at the end of the conflict. 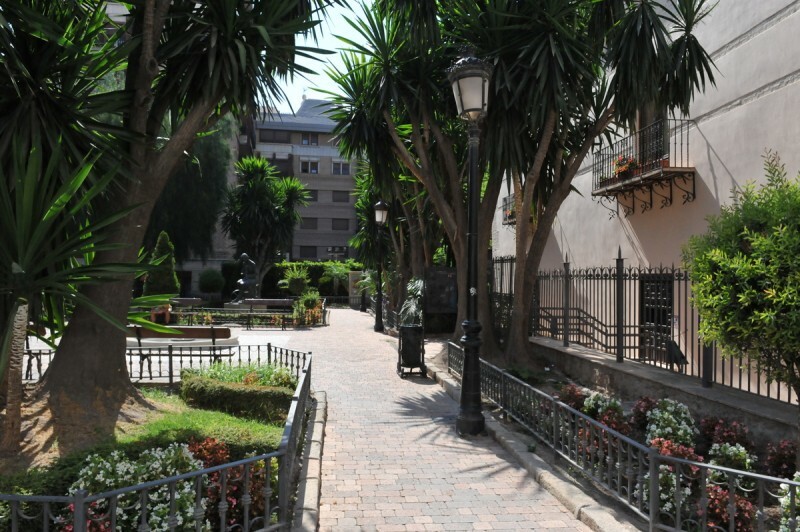 This is a beautiful plaza, lush and green, with plenty of seating and shade from the summer heat, the perfect tribute to a women who left the striking alongside to the city in which she spent most of her life.